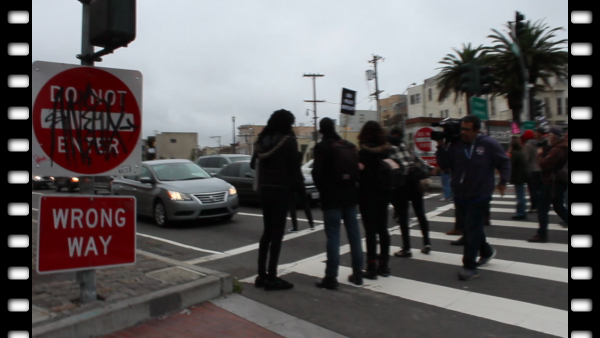 Pics from LGBT Community #BlackLivesMatter protest in SF. Approximately 200 people participated in an LGBT Community #BlackLivesMatter protest on Christmas Eve in San Francisco. Photos from #BlackLivesMatter protest in San Francisco held by the LGBT Community. time to step it up even more. paid criminals are the police. and everything that supports them.